Maybe you’re still only dreaming about starting your own graphic design business. Or perhaps you’re doing a few side-jobs in your free time hoping to start a graphic design business full-time. Maybe you’ve just started your graphic design business but need a bit of a boost to take it to the next level. Wherever you are in the process of starting your own graphic design business, this post is for you. No one is ever 100% ready to start their own graphic design business with absolutely no risk, all reward. Business just isn’t like that. Your household or family isn’t completely dependent on your current income for stability. You’ve got savings or other income you can use while building your client base. You’re already working a full- or part-time job and can continue to do so until you don’t have time for it. You’ve already got clients you’re working for in your free time–and even better if they’d like you to take on more projects. To find more high-quality clients: Kill the feast/famine cycle with Millo’s SolidGigs email list. How risky is your situation? Remember: many businesses don’t really get rolling until years 2 to 3, so be prepared to need another source of money in the early days of starting your graphic design business to ensure you can pay your bills. You can be better prepared for the first couple of years by drafting up a simple one page business plan. In fact, we’ve created a free downloadable one page business plan template you can access 100% free-of-charge. Just click here. Are you starting your own graphic design business for the right reasons? Why are you interested in starting your own design business? What’s motivating you to strike out on your own? Are you passionate about your graphic design business idea? Starting and operating any business (successful or otherwise) is stressful, time-consuming, and a lot of hard work. A lot of hard work…and persistence, and dedication, and long days and nights, and weighty decisions you can’t pass off to anyone else. But it also means a flexible schedule, a measure of control over your own financial security, additional vacation time, no commute, limitless growth possibilities, the ability to say no to a client or project, and a thousand other wonderful freedoms. Simply put: work hard…play hard. And if you don’t have the discipline to apply yourself to your work when the comforts of home beg you to procrastinate each day, being an entrepreneur may not be for you. If you’re unsure, check out Dribbble, Behance, Etsy, SmugMug, or wherever professionals in your industry post or sell portfolio pieces. How do your best pieces stack up? If you’ve still got improving to do (and really, who among us doesn’t? ), don’t fret. Both Ferrari and Kia are profitable car companies, and while your current skill set may only allow you to charge Ford prices or retain Mercedes-level clients, you can always take classes, study tutorials, and hone your skills to move up to that next level. Pro tip! Ask three trusted sources to give your their honest opinions on industry professionals’ work versus yours. Find more high-quality clients and ditch the bad ones with Millo’s SolidGigs email list. PPS—if you’re ready to ditch your bad clients for high quality ones, try SolidGigs. If you’re not happy as an entrepreneur, your business isn’t going to last very long because it’s not going to feel worth it enough to continue. If you’re not happy as an entrepreneur, your business isn’t going to last very long. So set your graphic design business up for success! First, select three adjectives (not four or five…three only!) that you want someone to use if asked to describe your business. The truth is, you can get better freelance work by defining your dream client. In order to get those ideal clients and projects you’ll need to start a successful graphic design business, you need a portfolio of your best work. Remember: quality, not quantity! If you’re just getting started and need a cheap but reliable web host, we recommend Bluehost. 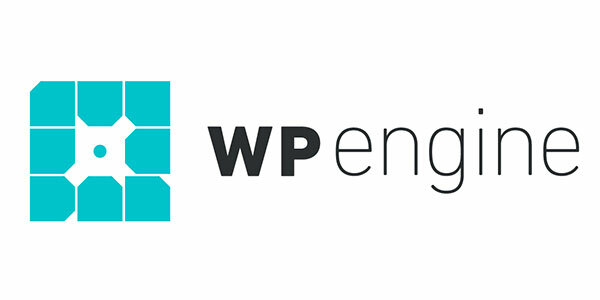 If you’re a little further along and need a host that can handle more serious traffic needs, we recommend WP Engine. Premium hosting for your high-traffic wordpress site. Free automated site migration with every account. Try it risk-free for 60 days. Does your portfolio website have a case of the “no one ever calls me”? Bonsai also has a really cool interactive graph that will help you see how much money you should expect to start making compared to others like you. Bonus: Snag a copy of our ebook, How Much Should I Charge? to help you establish profitable pricing for your business. As I mentioned before, when you’re just starting your graphic design business, sometimes the “right” clients are anyone who’s willing to pay you. But as time wears on, you get more selective. You start to recognize which clients you work best with, and which are the headaches whose phone calls you deliberately ignore. You figure out which projects have the highest profit margin, and which ones you really enjoy working on. If you’re lucky, they’re one and the same, but if not, you might have to get creative on how to pair your favorite projects with your most profitable ones. So where do you find your favorites? Well, if you have favorite clients, keep track of how you found them and try to repeat the process. And don’t forget to ask those favorites to refer you to like-minded friends. You can use our awesome referral-generating email templates to bring in all sorts of leads. Or you can take our workbook course, Cold Emails that Convert. We also recommend Pipedrive for managing your sales process. Use Pipedrive to manage your ever-changing list of potential, current, and past clients with an easy-to-use sales manager and email integration. Or pre-qualify local clients by getting to know them first before offering your services. Entrepreneur groups, chambers of commerce, and women’s/men’s groups all help you get to know other businesspeople in your area so when they need a designer, they think of you first. Also, foster relationships with complementary businesses like copywriters, web developers, print shops, marketing specialists, and small business advisers – when their clients need your services, you’ll be on the short list of who to call. Finally, sign up on freelancing job sites. Sure, there are some businesses looking for the cheapest design possible, but there are others looking for a long-term solution for their occasional design needs. Work one project through a site like 99Designs, Thumbtack, Freelancer.com, or oDesk and you just might earn a great client for years. Before you start setting up social media, you’ll want to register a domain. We’ve partnered with Porkbun to offer $5 .design domain names. For just $5, you can get a domain with .design at the end to really stand out from the competition. Then, at the very least for B2B businesses like ours, social media helps validate your business. When potential clients Google your business, they want to find something (and you want it to be positive). With a digital marketing strategy (and maybe a bit of luck), you may even find a social media outlet(s) bringing you business. We happen to know of one small but vital change that will bring in more clients. And if nothing else, dear Aunt Betsy and that ex-coworker from your first job out of college will see your latest work…and may know a friend of a friend who turns into your next client. You can also read Contracts for Creatives, for tons more information as well as pre-made design contract templates. As crazy as it sounds, once you’ve started your graphic design business, it’s not uncommon to be afraid – or terrified – of those first projects or client calls. Remember: When a new client calls you, don’t freak out. Do this. Practice, practice, practice. Start a fake phone conversation with your best friend, dog, or just your bedroom mirror. Know how you’ll answer the phone and what you’re going to start with. Keep a cheat sheet of what you’re going to say and questions you need to ask. Remember that as much as you’re auditioning for the role of designer, they’re auditioning for the role of client. Don’t forget to smile when you answer the phone. SolidGigs: kill the feast/famine cycle of your freelance business with our weekly gig list. For more top tools used by successful freelancers & solopreneurs, visit our “Top Tools” page. Have any of these tips been a difference-maker in your business? Do you have questions or need clarifications on any of the above? We’re here to help. Leave a note in the comments with your thoughts! Ah, #10! Can’t say enough about it…. It’s a lot easier to ask for a referral when you’ve preframed your Client for it from the start. 95% of my work now is by referral/word of mouth, and I believe this is the reason. I rarely get a new client any other way anymore. Great post, John! I would add that, along with the business plan, one should write a marketing plan. This plan should outline how the business owner will make the business plan a reality, from strategizing what to sell and when, to networking and proper utilization of social media. Without this supporting document, even the best business plan is just words. On a side note, as I have learned from several business owners, clients are important, and so is marketing, but if you are good at what you do you really don’t have to spend as much time and cash on advertising as you think. Referrals help, but can and does give your client the impression you are looking to expand or take the focus away from them. It just needs to be tastefully done. I’m thinking an infographic on the best ways to ask for a referral?? I fully agree with Mel on the emphasis upon work and letting it speak for itself. Also, as Kristine puts it, referrals are an essential customer-base but winning them requires a happy client network that will spread your word. Alongside putting up a team of incentive-driven, passionate & like-minded people, is something that greatly helps in the long run. They bring ideas, networks, energy and add a lot of support. Five year vision, six monthly targets, professional advisers, masters of business administration, etc. are sure-shot recipe, I feel, to bog down budding entrepreneurs, but become necessary when external opinions (investors, shareholders etc.) are unavoidable. Excellent article. Starting any business can be difficult, but if your passionate about what you want to achieve, it’s possible. It’s also advisable to participate in forums , you can learn and network with other professionals within the industry. Great tips.. They can be applied not only to design business but to other kinds of businesses too. Please take a look if you are interested in seeing what I do. You may even pick up some tips on how to present yourself online if you are planning to start your own business soon. Thank you for this great article, I like it, it’s very practical. I wish everyone read this post before they startup. this article is very useful and have inspired me. thanks! i am totally agree with your all point. For me, one of the hard work is finding a reliable client for design business. I am enthusiast to follow your guidelines. Hope it will working for me to find few more client. This was extremely helpful. Starting your own business is a daunting task and by breaking it down for viewers in such an organized and insightful manner is inspiring and palatable. I feel so inspired and motivated to begin. Great article! I really enjoy read each of sections. I only did a few of these aspects for my business, and i think i would add these steps to my business. Hello April, I found this article very helpful! My question for you is what assets if any should I look forward into investing in, for example should I invest in some sort of printing machine, certain computer programs, scanners, etc. thank you so much ,it helped me! I’ve started freelancing a few months ago and a lot of what you wrote resonates with me. Especially the bit about finding good clients that you work well with. I was also curious about how you get briefs from your clients. Do you have a template you get them to fill out or do you work with what they give you? I have recently found myself doing a lot of extra work which I feel is not on the initial brief but some how my client feels it is. It’s especially around brand ID stuff. Dose anyone find this difficult as well? Do you have any tips how I can ease my pain? Especially when there are multiple stakeholders in place who all feel like they require sign off, on every aspect of things. Starting a new business …it’s not an easy task but you have written what exactly required to start a design business. All these things are matter but the main thing is to know how the successful business owners like to shape the plans. We should check their footprints and follow –up them. I think the best business plan is your words…. This is a very helpful article. It covers all the questions and doubts every beginner has.